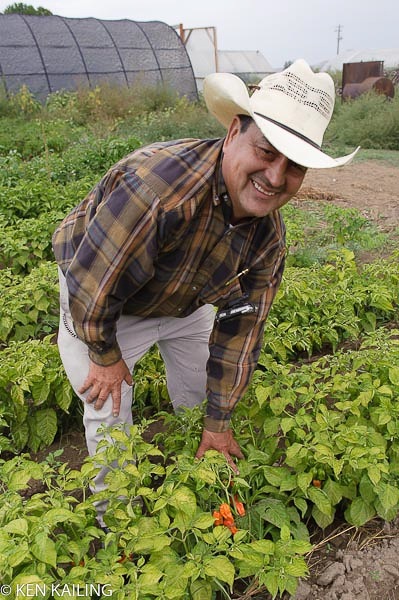 Alvarez Organic Farms has its roots in the Mexican state of Michocan. Hilario Alvarez was one of eight children, that helped his father tend to crops on a small acreage of land. Farming in Mexico meant mostly growing food for the family to eat. In his late teens, he moved near Tijuana to work on a feedlot where his daily salary equaled about $5. He envisioned a better future across the border, so in his late 20's he migrated into the U.S. Hilario sold all his land and cows back home and came with nothing but his passion for the soil. First time, he came alone into California, the second time with his new wife Maria into Washington. He planned for his work to be temporary, but children, as anyone can tell you, change things. Ruben was born, then Alicia, Eduardo, Elena, Oralia..eventually there was nine, with a family to support, Hilario stuck to what he knew best. Through hard work and dedication he was able to purchase a 30 acre plot of land, where his family settled. Over the years, Hilario built his agricultural enterprise from the ground Today, Alvarez Organic Farms is one of the largest organic producers in the sate of Washington, farming just over 80 acres. Hilario continues his passion, meanwhile instructing the same old farming techniques to his sons.